Your favourite cathedral in London? 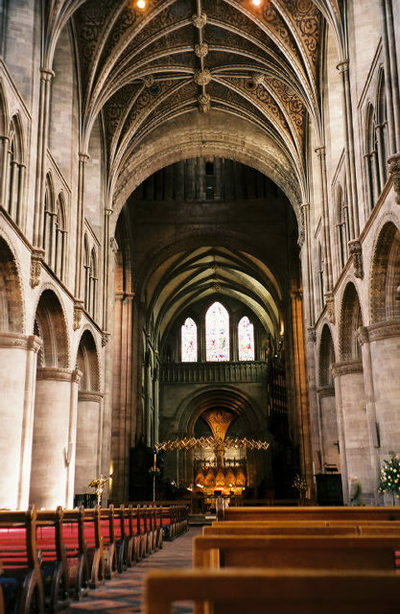 Cathedrals are rich in architecture and history. Which is your favourite Cathedral in London? London has five Cathedrals, but I have only visited one (that I can remember), and that was some time ago, so I couldn't say which was my favourite. While it is London's iconic building - I would have to say the St. Paul's Cathedral is one of the most amazing structures with a very rich history that is etched with a lot of stories. I have been to St Paul's Cathedral and it was very nice. Best place to buy chocolate in London? Best Broadband provider in London?